Are you passionate about travel and sports? You will probably doubly enjoy your holidays if you mix both of your passions, so we intend to tell you how to get the most out of your holiday. 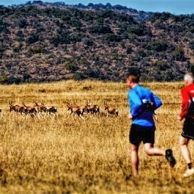 Our list of the top 5 marathons in the world will take us to unexpected corners of the world, exotic and very beautiful places, come with us to know the best marathons in the world. To face this tremendous physical test you need much more than a simple preparation, training this kind of athletes implies going through extreme exercise in very cold conditions. Although it is one of the toughest tests in the world, almost any athlete with a few months of training and a good team could run this marathon, to finish it is another story. 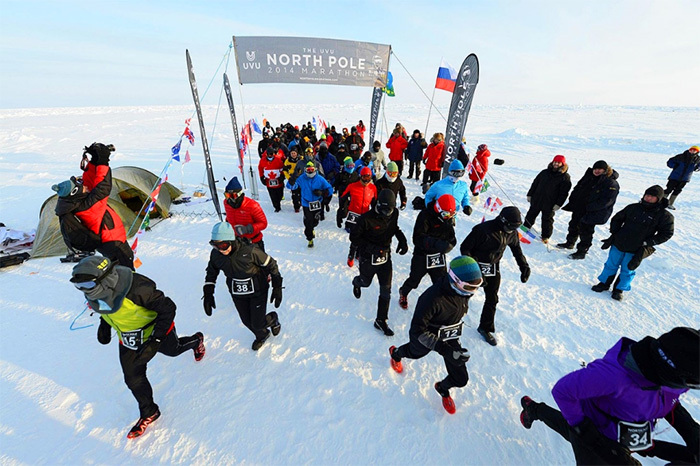 The temperatures reach -30 degrees Celsius, which makes running over the Arctic Ocean extremely challenging. This peculiar marathon started in the 80s, and we say peculiar because it has become a claim for any charitable cause, as it is customary to raise funds for various relief and research organizations. It is very common to see a lot of costumed participants, another of its curious practices. As for the sport, it is a great marathon, almost without slopes, making it one of the favourite ones to beat personal marks. This is clearly the opposite to the London marathon, there is almost no surface to go a great distance in a straight line, with its huge slopes it makes almost any runner feel exhausted. 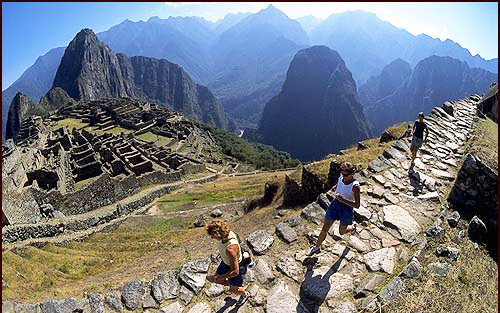 Some curious details of this marathon are the altitudes at which it is held, going from 10,000 feet (3.048m) to 13,800 feet (4.206m) which are reached before reaching the spectacular end at the iconic Mount Machu Picchu. Running one of the seven wonders of the world is a pleasure reserved for a few lucky ones. But not everything is a bed of roses, as it is one of the toughest in the world. 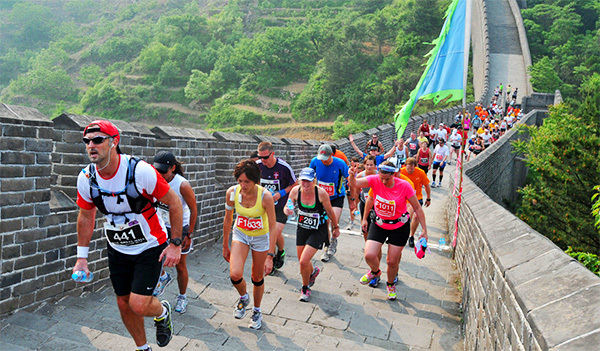 As you know the Chinese wall is not characterized by a flat surface, apart from this the coordinators are extremely demanding, as they have established cutting time marathon in eight exact times, which may encourage many to hurry to complete the test. Taking place in the month of May the test conditions are complicated by the heat and humidity, but the disadvantages fade away when contemplating the amazing views of this marathon. 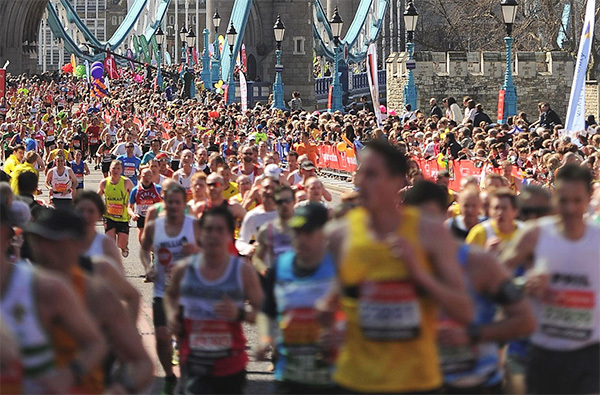 This tragically famous marathon is held on the third Monday of April, coinciding with the Patriots Day (national holiday in the United States). It is characterized by an almost flat marathon, however there is a peak point when you get to a climb up Heartbreak Hill (between miles 20 and 21), there the race becomes a real challenge. 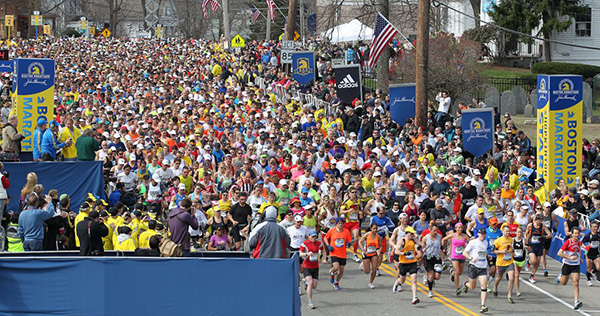 It is an amazing opportunity to see part of the city of Boston and to enjoy a race in a festive atmosphere. But we have saved the best five marathons for last, do not miss the next article.